Making the house better known is the first step to sell it. Only when you deepen the interest of buyers in the house, they may come to buy it. Advertise your properties with the assistance of this real estate flyer template. This flyer template is able to show your beautiful country house and some information in a special way. You just need to upload your delicate house photos and copy your text details to replace the default content. 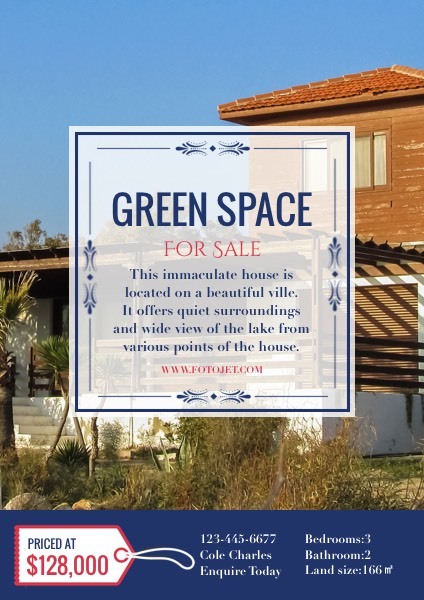 Go to experience how easy it is to design amazing house for sale flyers in minutes.